Do You Want To Be My Love 'til 1998? Splendid debut 7" from a French four-piece delivering melodic jangle pop à la Go-Betweens, early Orchids, and the Smiths. Three stylish songs with jangling guitars, luscious violins, pianos, and inspired vocals posing questions of lost loves. 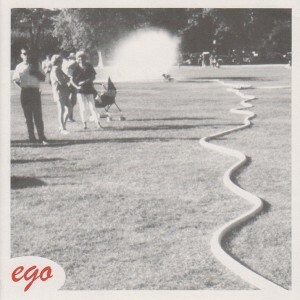 Following numerous appearances on French indiepop compilations, this EP marks Ego's vinyl debut.